SQFI’s programs have been designed to meet the needs of suppliers, the food industry, and consumers. The SQF Code offers a solution for primary producers, manufacturers, distributors, and brokers by creating one standard for food safety from farm to fork. Also, by requiring both regulatory and customer compliance, the SQF code is equipped for an ever evolving market. There are three levels of certification for the SQF standard. Level 1 is mainly for low risk products and it incorporates fundamental food safety controls. Level 2 is a certified HACCP food safety plan that is benchmarked by GFSI. Level 3 is a comprehensive implementation of safety and quality management systems that incorporates Level 2. In many cases, a supplier’s customer has already designated a minimum level of certification. 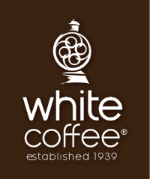 White Coffee Corp is a SQF Level 3 certified manufacturer for food safety and quality.